Weekend, Long Term and Group Rates available. Special Weekend/Event rates may apply to Rental Charges outlined above. 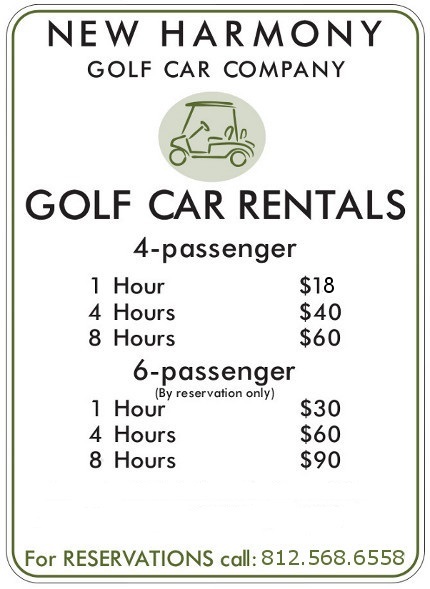 Please email info@newharmonygolfcars.com for more information.